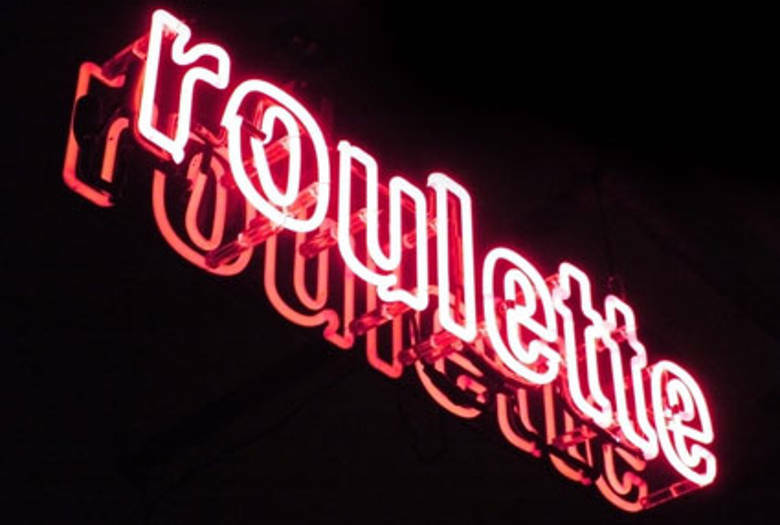 Trombonist, composer, and founder of Roulette Jim Staley has been shaking up the downtown scene for over 30 years. Working primarily with improvisation, crossing genres freely between post-modern classical music and avant-garde jazz, Staley has collaborated for many years with other highly experienced improvisers, both dancers and musicians. Tonight, Staley is joined by laptop virtuoso and longtime collaborator Ikue Mori and multilingual, electronics enhanced vocalist Kyoko Kitamura. Jim Staley, trombonist/composer moved to New York and has resided in a lower Manhattan since 1978. His work has been primarily working with improvisation, crossing genres freely between post-modern classical music and avant-garde jazz. He has worked for many years with other highly experienced improvisers, both dancers and musicians, including Sally Silvers, Pooh Kaye, Simone Forti, Ikue Mori, Davey Williams, Shelley Hirsch, Phoebe Legere, John Zorn and many others. Staley’s recording projects include Blind Pursuits with Phoebe Legere and Borah Bergman; Mumbo Jumbo-different trio combinations with Wayne Horvitz, Elliott Sharp, Shelley Hirsch, Samm Bennett, Ikue Mori, Bill Frisell, Fred Frith and John Zorn; Jim Staley’s Don Giovanni, with Mori, Davey Williams, Zeena Parkins and Tenko, plus several more. Staley has recorded with Fred Frith, Elliott Sharp’s ensemble Carbon, and for John Zorn on several records including, Spillane, The Big Gundown, Cobra, The Little Lieutenant of the Living God (Weill/Zorn) and several others. Staley also performs and records with the Tone Road Ramblers, a collaborative chamber-improv ensemble, together since 1981. He is the 2005 recipient of the Susan E Kennedy Memorial Award, given for his years in support of artists. Ikue Mori moved from her native city of Tokyo to New York in 1977. She started playing drums and soon formed the seminal NO WAVE band DNA, with fellow noise pioneers Arto Lindsay and Tim Wright. DNA enjoyed legendary cult status, while creating a new brand of radical rhythms and dissonant sounds; forever altering the face of rock music. In the mid 80’s Ikue started in employ drum machines in the unlikely context of improvised music. While limited to the standard technology provided by the drum machine, she has never the less forged her own highly sensitive signature style. Through out in 90’s She has subsequently collaborated with numerous improvisors throughout the US, Europe, and Asia, while continuing to produce and record her own music. 1998, She was invited to perform with Ensemble Modern as the soloist along with Zeena Parkins, and composer Fred Frith, also “One hundred Aspects of the Moon” commissioned by Roulette/Mary Flagler Cary Charitable Trust. Ikue won the Distinctive Award for Prix Ars Electronics Digital Music category in 99.
also awarded Civitella Ranieri Foundation Fellowship. 2003 commissioned by RELACHE Ensemble to write a piece for film In the Street and premired in Philadelphia. Started working with visual played by the music since 2004. In 2005 Awarded Alphert/Ucross Residency. Recived the grant from Foundation for Contemporary Arts in 2006. Tate Modern commissioned the live sound track for Maya Deren’s silent films and premired in 2007. In 2008 Celebrated 30th music year, presented 5 on-going projects at Japan Society in NYC. Current working groups include MEPHISTA with Sylvie Courvoisier and Susie Ibarra, projects with Kim Gordon, duo project PHANTOM ORCHARD with Zeena Parkins, various projects with John Zorn. and John Zorn’s Electric Masada. Vocalist Kyoko Kitamura was born in New York and raised partially in Tokyo. She studied piano at the Juilliard School of Music prep division with pianist Jane Carlson who was a premier Hindemith interpreter and who exposed Kitamura to contemporary composers at an early age. However, curious about the world, Kitamura chose to become a journalist, working out of Tokyo and Paris, and traveling around the world (including a stint as a Gulf War reporter). She came back to NY in 1997, worked for a while as a magazine writer, and, since 2001, slowly immersed herself in the music scene after a hiatus of close to 15 years.